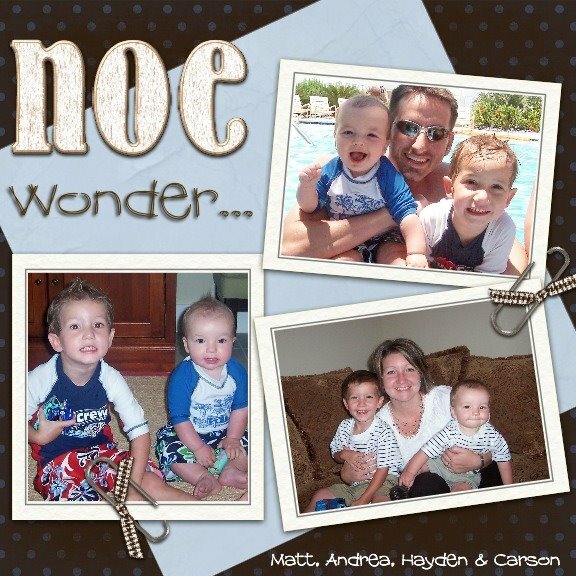 The Noe Family: Ho Ho Ho!!! I'm so impressed that you have X-mas pics up already! 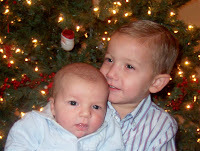 Carson looks so much like Hayden in the top picture. Hope you guys had a Merry Christmas! We need to get together soon! Can I steal Carson? I need a boy, and I want him. He is just so perfect. Hayden is too, but I want the baby boy. Don't think I am weird, but I love him. Update dude! Just kidding! 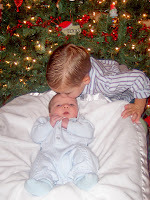 I love the pic of Hayden kissing Carson.